I had intentions of posting this last week to have it up on time for St. Patrick's Day but life had other plans. My husband came down with some awful flu that kept him home from work and kept Ethan and I holed up in my mom's house praying we wouldn't catch whatever he had (we didn't, thankfully!). 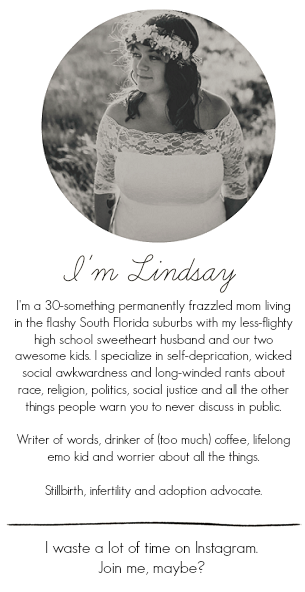 Somewhere in all of the chaos, I never got around to posting this on time or swapping out our tot trays. 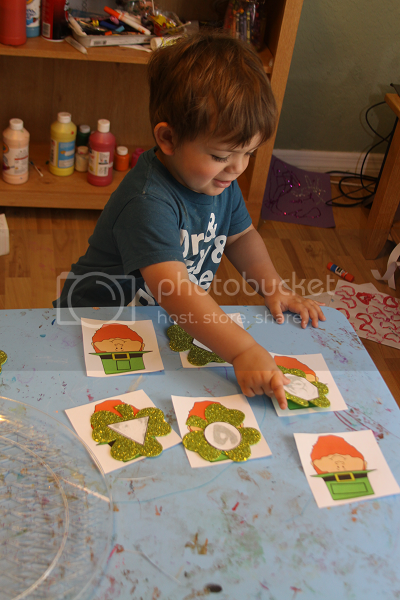 St. Patrick's Day Tot School officially ends today in our house, but it was a good two weeks! 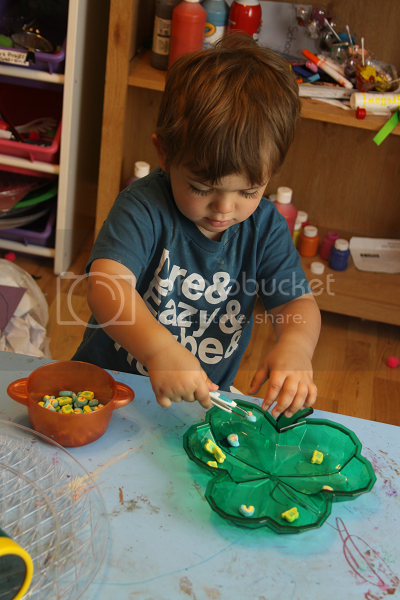 Ethan had a lot of fun with all of these trays and celebrating St. Patrick's Day! 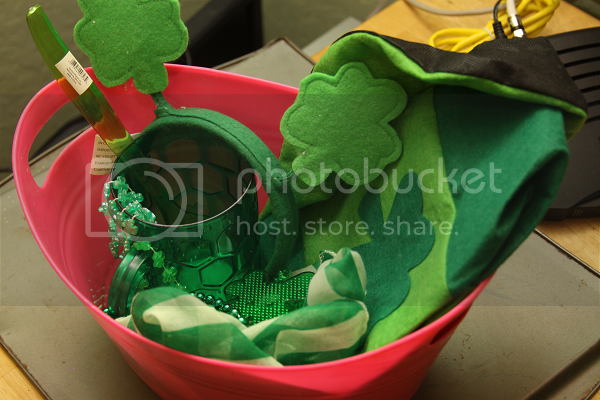 I ran through Deals, my favorite dollar store, and grabbed a whole bunch of St. Patrick's Day items to pair with some random green items we already had at home. 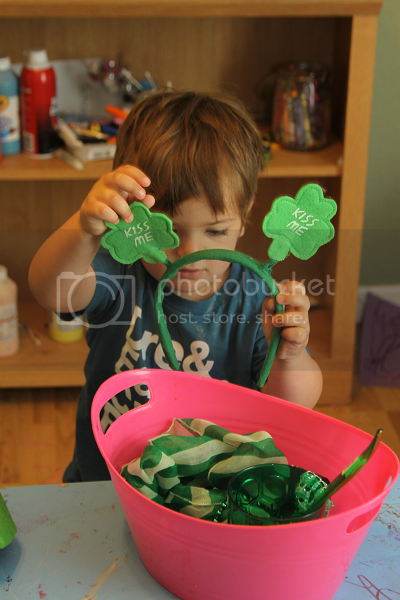 Ethan had fun trying on the leprechaun hats and using the green spoons to scoop out the smaller green items. 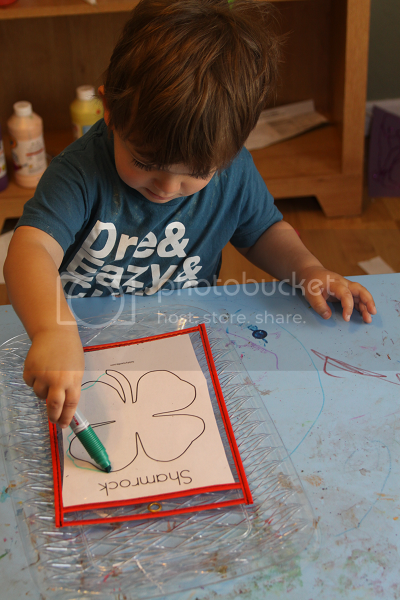 I used a print-out from Twisty Noodle and paired it with a green dry erase marker for Ethan to have fun tracing the shamrock. He's been really into all of the dry erase activities lately and really loved this one. 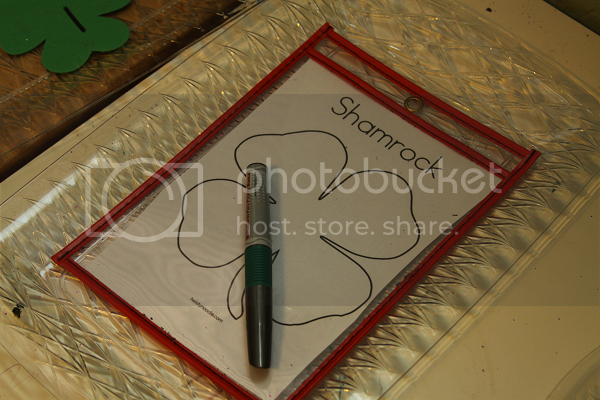 The first few times he did this tray, he would make a vague outline around the shamrock without going into the little crevices. The more he did it, the more detailed and accurate his tracing got. It was cool to watch him really work on the details and getting it! I found a pack of 20 shamrocks for $1 at Deals and they were perfect for this week! 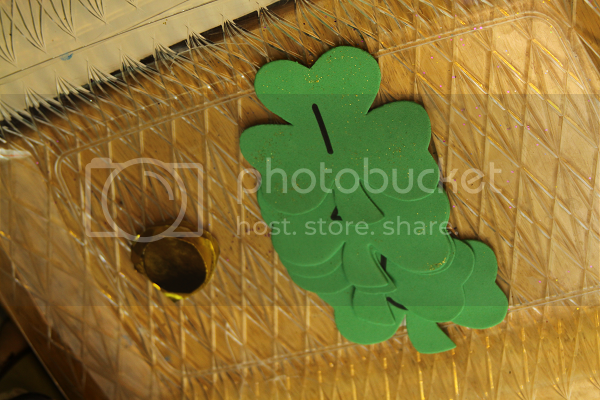 I wrote out the numbers 1-5 on 5 of them and paired the shamrocks with some gold coin cut-outs I made from some gold gift bags. 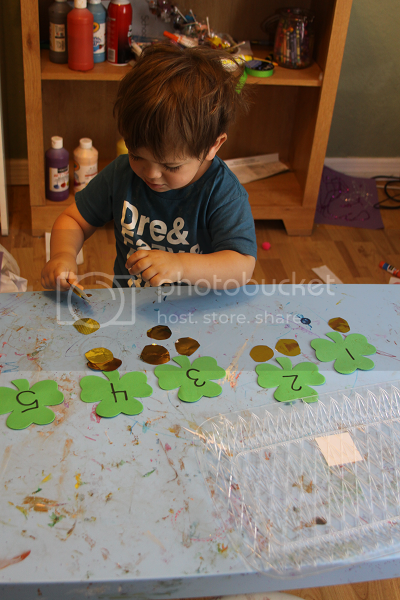 Ethan got to recognize the numbers written on each shamrock and count out the coins accordingly. He really liked this activity! Normally he isn't too much of a fan of the counting activities, but I think because this one was festive he was really into it! I picked the rainbow and shamrock marshmallows out of a box of Lucky Charms and hoped Ethan wouldn't know they were edible for a while. The plus is, it took a day before he noticed they were edible and we got a lot of use out of this tray before the discovery! 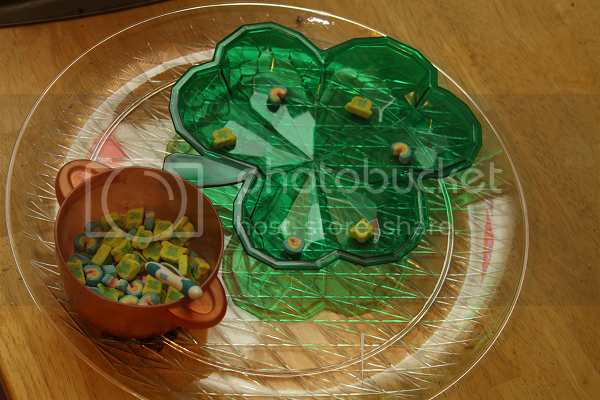 I put some tweezers and a shamrock tray and Ethan got to sort the marshmallow shapes out. This tray was Ethan's favorite for the week! He absolutely loved it. 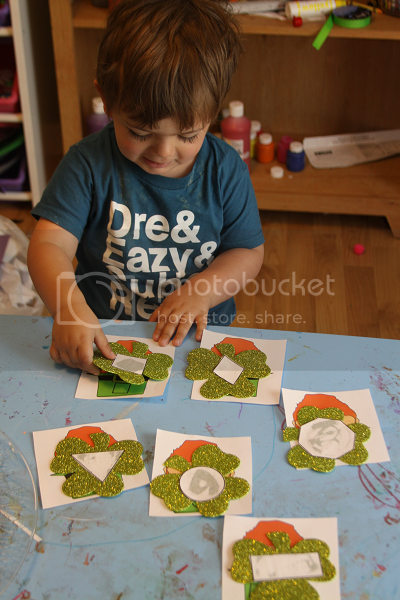 I cut out some shapes and glued them onto some shamrocks and then added the same shapes to the hats of some leprechauns I found on a free clip art website. Ethan got to match up the coordinating shapes. 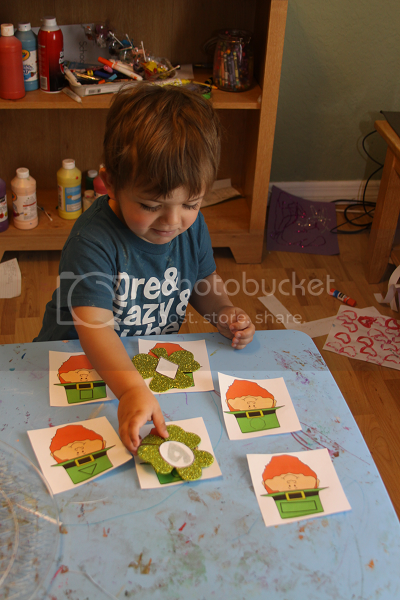 Going into this, he knew all of the shapes he was matching, but he still really loved this activity.